Buy 3 or more for $5.99 each. Gift mug with a message packaged in matching gift box. Features artwork of a lighthouse with decorative typography Scripture verse, The Lord will guide you always. Isaiah 58:11. 10 ounce ceramic mug; microwave and dishwasher safe. 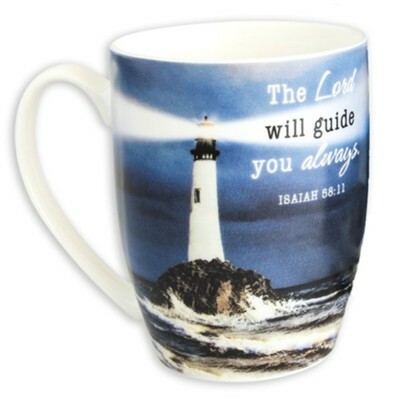 I'm the author/artist and I want to review The Lord Will Guide You Always, Mug In Gift Box.